The ‘M’ marking is seen as a blessing of good fortune and can also be indicative of a successful career because of their strong self-motivation and discipline. People with the marking are thought to be gifted in their careers, and great judges of character, as they easily see through lies and can almost always tell if someone is lying or cheating. While the marking does represent both positive personality traits and gifts, hand-dominance does play a role. For right-handed people, the lines of your left hand indicate the character traits, personality and destiny you are born with. For left-handed people the opposite is true. 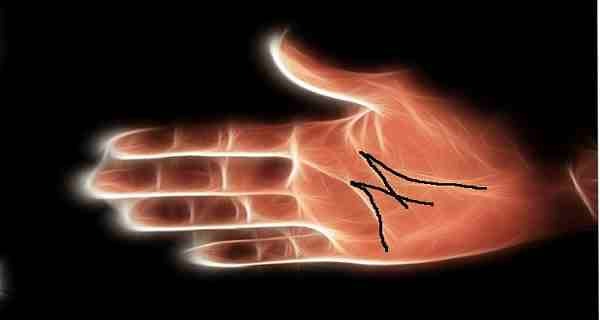 These findings are only significant to those who believe in Palmistry and spirituality; for those who do not believe they will likely hold an entirely different view of the topic, with many being convinced that everyone has the letter ‘M’ on their palm.